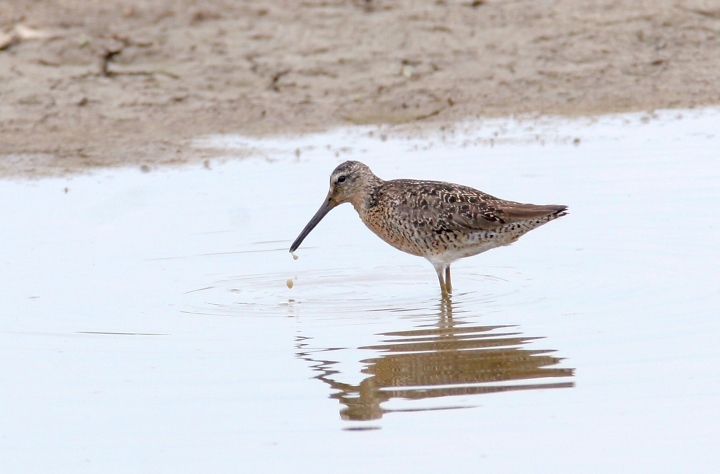 Lower Eastern Shore of Maryland. 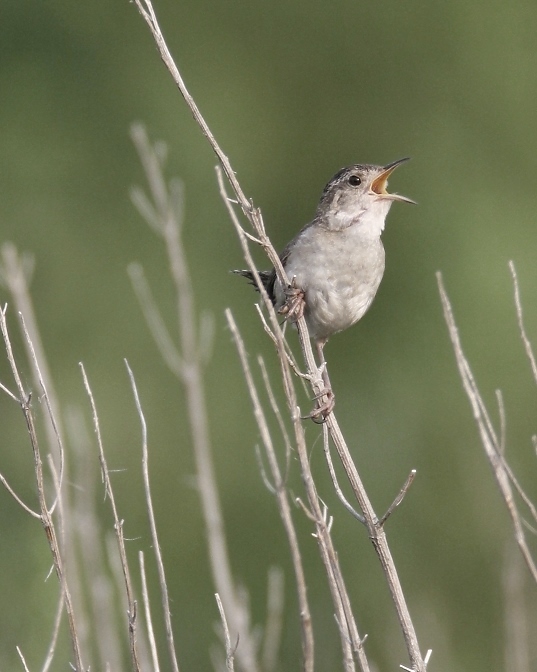 Last updated: 7/29/2007. 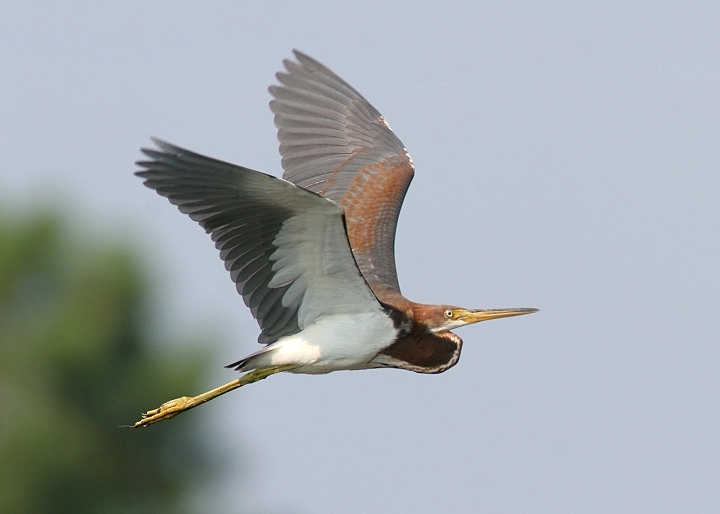 Above and below: An immature Tricolored Heron in Worcester Co., Maryland (7/28/2007). 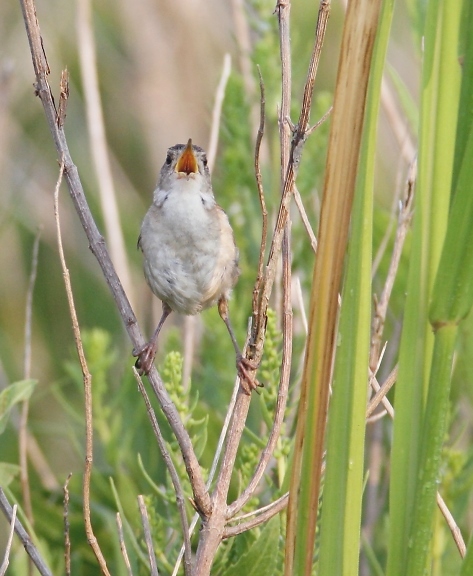 Below: A Marsh Wren along the Nanticoke River in Wicomico Co., Maryland (7/27/2007). 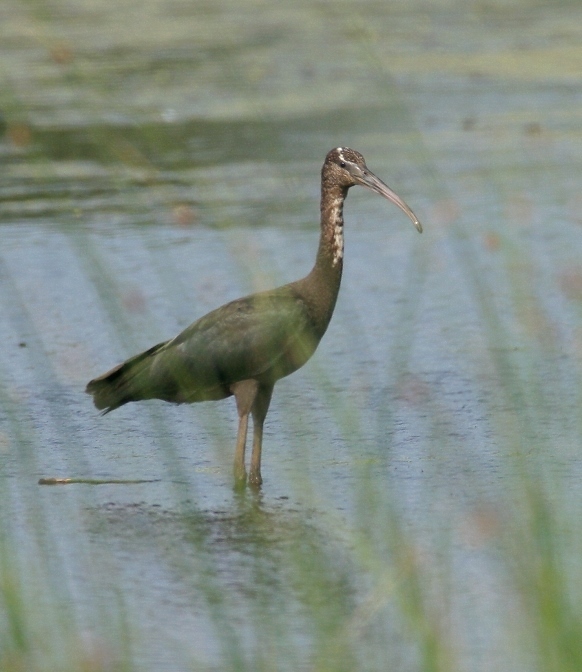 Below: An immature Glossy Ibis through the marsh grasses in Worcester Co., Maryland (7/28/2007). 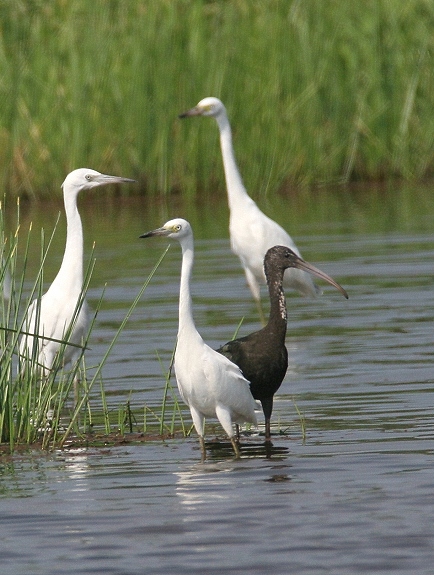 Below: An immature Glossy Ibis with immature Little Blue Herons in Worcester Co., Maryland (7/28/2007). 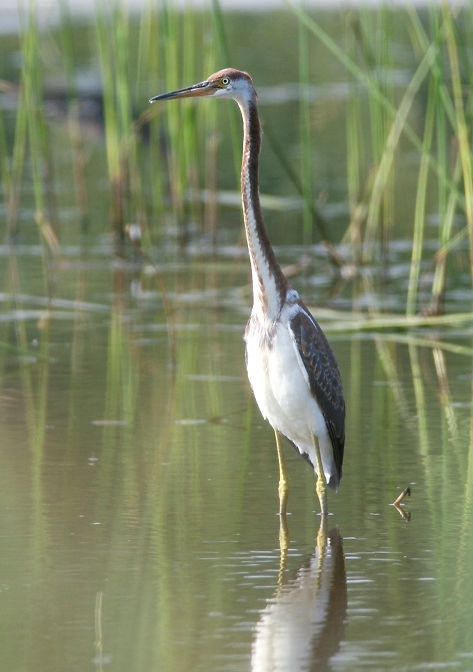 Below: An adult Black-crowned Night-heron stalks its prey along Elliott Island Road, Dorchester Co., Maryland (7/29/2007). 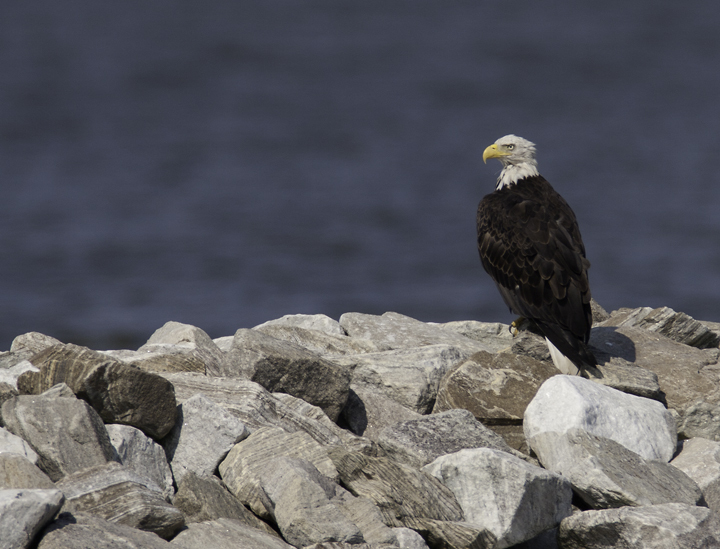 Below: An adult Bald Eagle rests at Cedar Hill Marina in Wicomico Co., Maryland (7/27/2007). 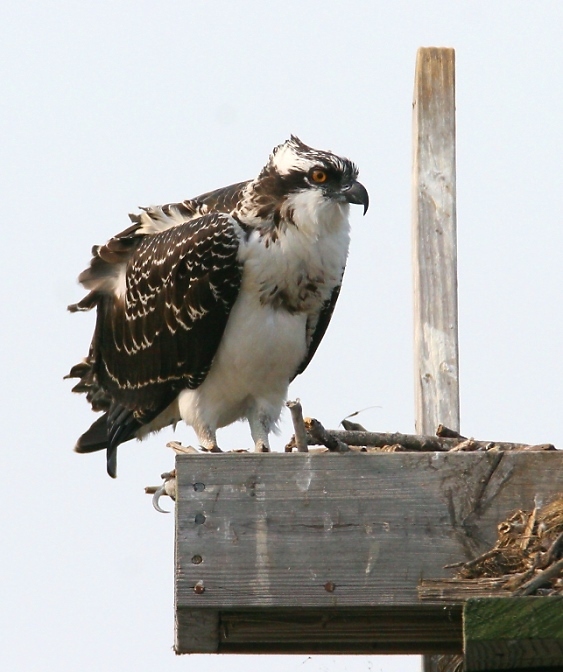 Below: An Osprey beside the Whitehaven Ferry between Somerset and Wicomico Counties, Maryland (7/27/2007). 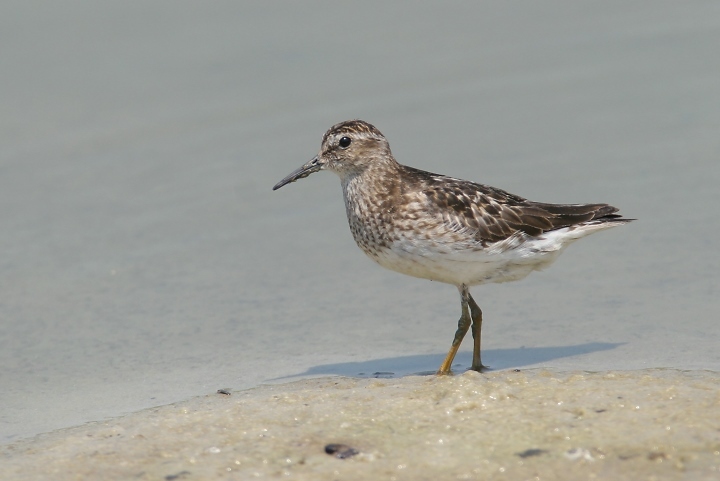 Below: A Least Sandpiper in Wicomico Co., Maryland (7/27/2007). 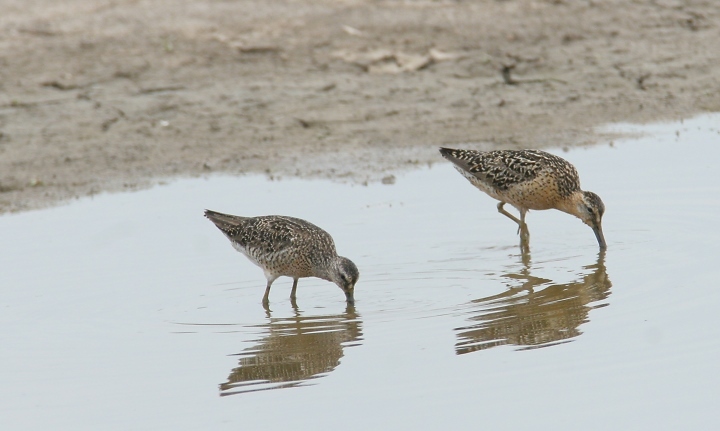 Below three: Short-billed Dowitchers foraging at Blackwater NWR, Dorchester Co., Maryland (7/29/2007). 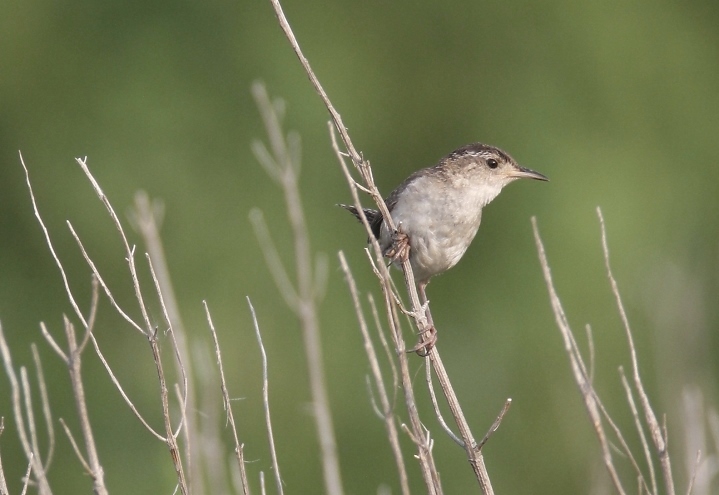 First image shows the Prairie subspecies, L. griseus hendersoni, while the second image shows the Atlantic subspecies, L. griseus griseus. 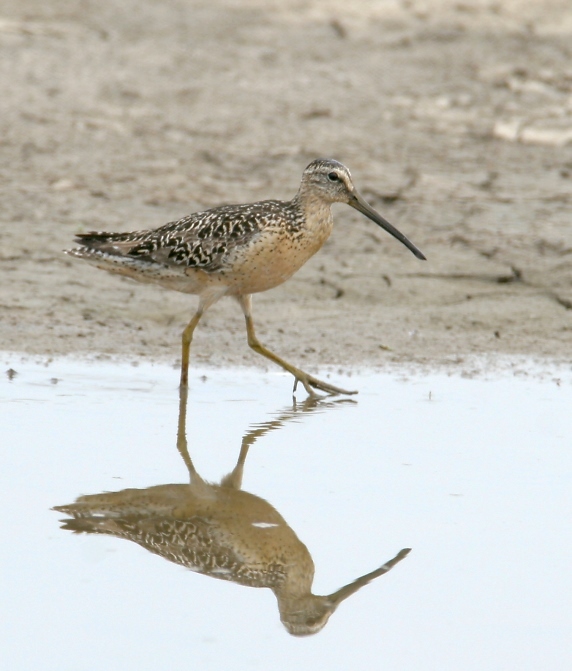 In the third image, the hendersoni is on the right. 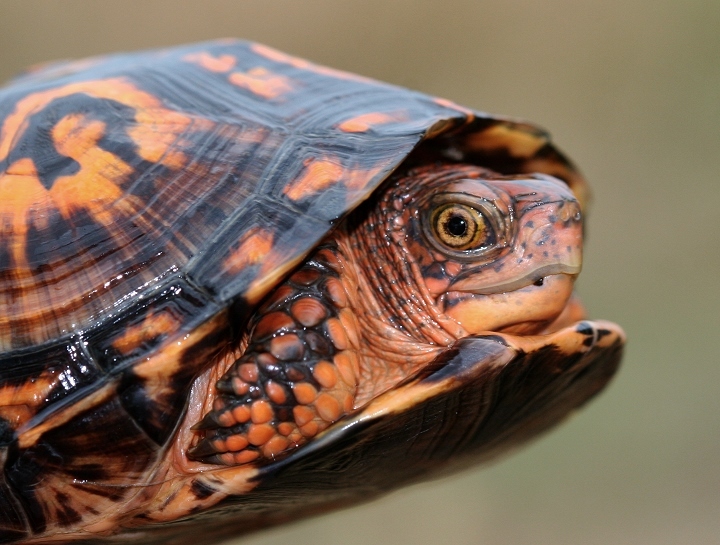 Below: An Eastern Box Turtle in Talbot Co., Maryland (7/29/2007). 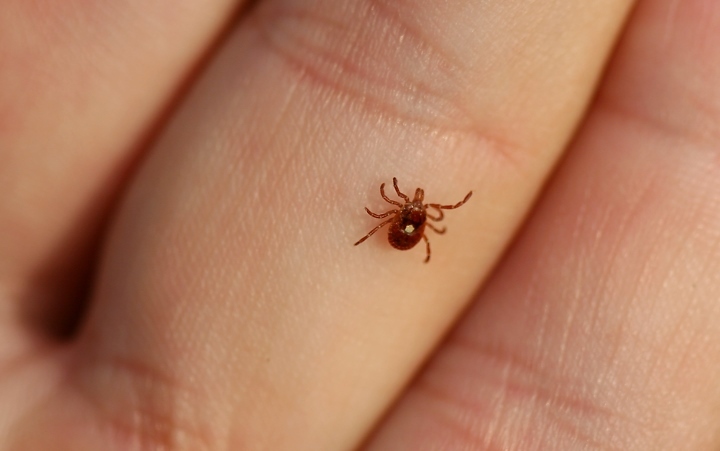 Below: Featured creepy crawly - a Lone Star Tick (Amblyomma americanum) in Wicomico Co., Maryland (7/27/2007). The white dot is diagnostic. 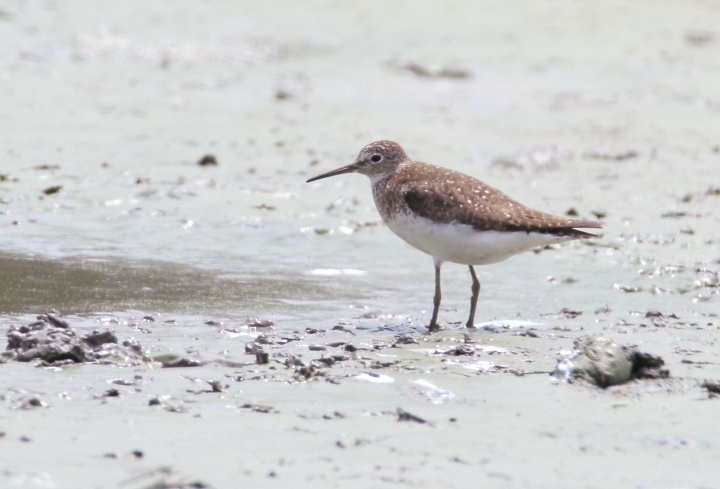 Below: A Solitary Sandpiper in Wicomico Co., Maryland (7/28/2007). 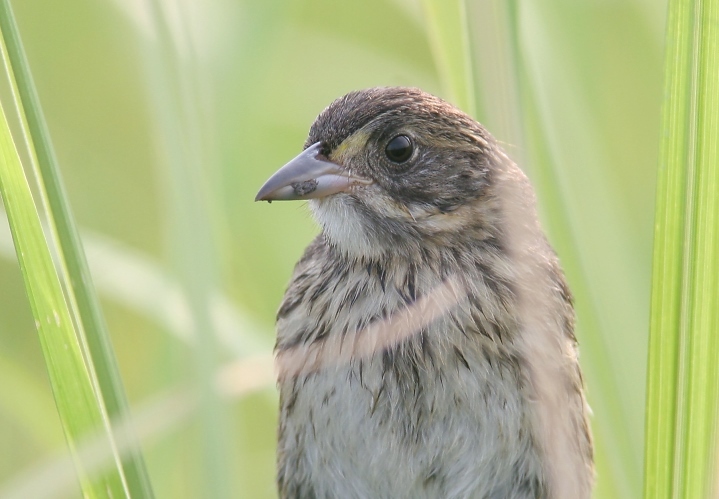 Below: A close-up of a Seaside Sparrow in Dorchester Co., Maryland (7/29/2007). 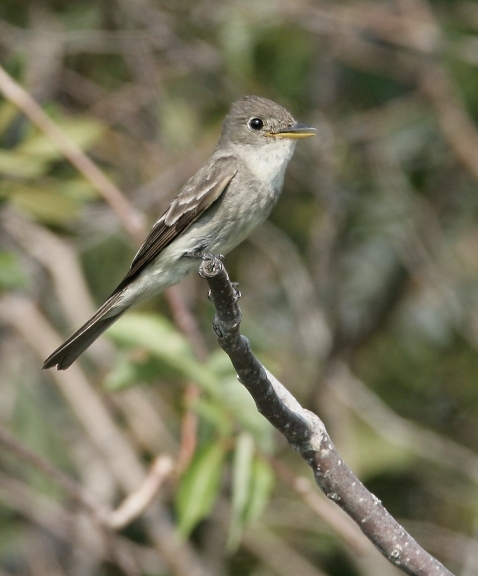 Below: An Eastern Wood-Pewee calling from a wooded edge in Worcester Co., Maryland (7/28/2007). 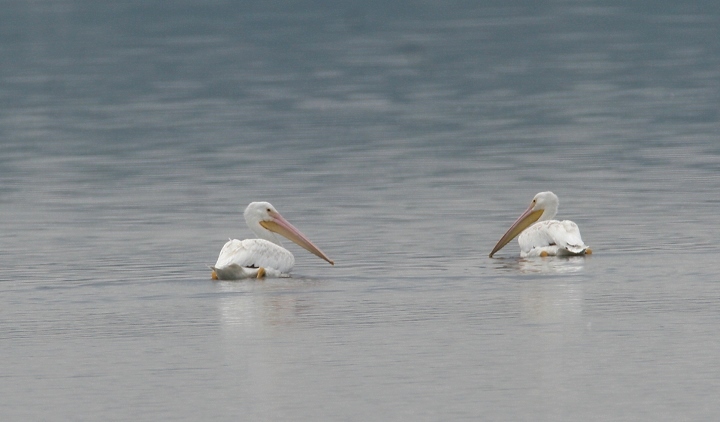 Below: Two of ten American White Pelicans seen at Blackwater NWR, Dorchester Co., Maryland on 7/29/2007.